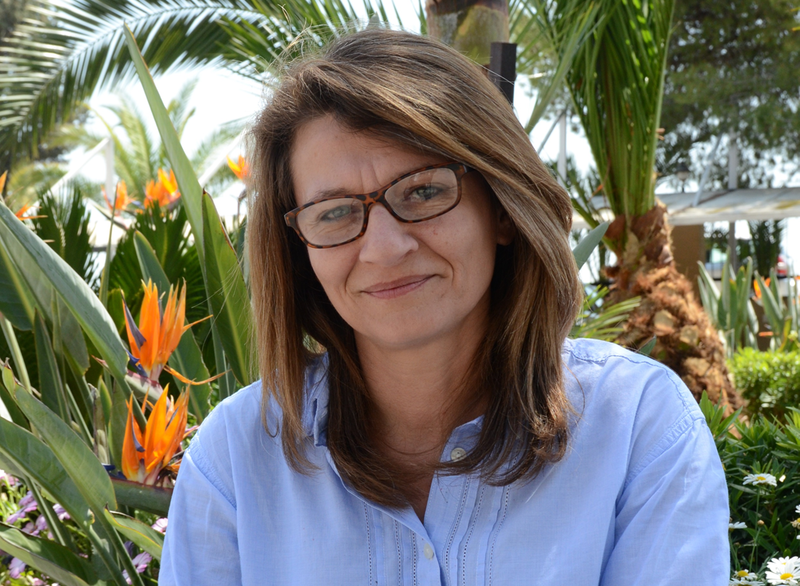 Helen Savvidou knew early on that education had the power to change her life. As the daughter of Greek immigrants in a bilingual home, Savvidou saw first-hand that the ability to communicate effectively was of the utmost importance. With her dream realized, Savvidou has taken up the torch from the teachers before her. She is a Microsoft Innovative Educator Expert (MIE), a MIE Trainer and Microsoft Certified Educator. Savvidou was also an integral part of her school’s recent 2014/2015 Microsoft Showcase School award. Whether it’s through OfficeMix, OneNote or Skype in the Classroom, Savvidou is using technology to push her students forward. Here’s today’s Daily Edventure with Helen Savvidou. Enjoy! In 2014, my school became a Microsoft Showcase School, and a new world opened up for me. Learning about 21st century pedagogies and how technology innovation can be used to help students achieve more have become part of my ‘education’ as well. Becoming an MIE Expert, an MIE Trainer and Microsoft Certified Educator, with the support of my school leaders, the Head of Computer Science Technologies and Professional Development and fellow MIE Experts has provided me with many opportunities to learn, collaborate, share and truly be inspired. Being selected to attend E2 2016 as a representative of Cyprus in Budapest was a defining moment for me. Meeting colleagues from around the world and sharing best practices was an experience I will never forget. Working with my group over the course of two days to “Hack the Classroom” broke down cultural barriers, and lifelong friendships were formed. I also had the opportunity to listen first-hand about how products are being innovated and upgraded according educators’ feedback and needs. As Microsoft leaders shared their vision of the future this truly gave me hope that change can and will continue to take place to improve education and I feel very proud to be part of this change. When I was at university, all the students studying education (myself included) used to wear these sweatshirts/hoodies with the following quote “Those who teach, must never cease to learn.” These words by John Cotton Dana were true then and even truer now. Technology has improved so much and so quickly over the past years, that it is every teacher’s responsibility to continue learning. I have been teaching English for the past 23 years, and I must admit, as my school has become invested in using Microsoft technologies, I find myself more and more excited and motivated to learn how I can integrate technology into my lesson. The world is changing and we need to change with it and try to prepare our students for a future which is different than ours. Microsoft provides tools which assist teachers towards this goal: Office 365 allows teachers and students to communicate and collaborate; OneNote allows me to provide and organize content and give immediate feedback to students; OfficeMix allows me to share lessons which students can use to revise on their own time; Sway is an easy way for students to prepare engaging material which highlights understanding. More recently, I have discovered that using Skype in the Classroom has opened up my classroom to the whole world, and to be honest, I am very passionate about it. Whether it is a Mystery Skype, Virtual Field Trip or just connecting with another class, I can empower my students to realize that learning doesn’t only happen through books and lectures, but it occurs when you engage with others. Now when I go into the classroom, students ask me when we are going have another Skype session, knowing full well that it’s not just a conversation over the Internet, but will involve learning and working towards a goal – and they are fine with that. I think that truly shows that technology can transform education in a positive way. What’s the biggest obstacle you or your country or region has had to overcome, or will have to overcome, to ensure a quality education for students? Curriculum reform in education is a difficult process. I have the privilege to work at the Grammar School Nicosia where school leaders are invested in this change, have a clear vision for the future and are working hard to provide curriculum that emphasizes active problem-solving with intelligent technology — thus instilling skills for success in the 21st century. Teachers embrace these changes in order to provide meaningful learning for our students. Unfortunately, in other private and public schools in my country, too many school leaders are fearful of change and do not share the same vision. Teachers as well often fall back on what they know and are afraid to embrace new innovations. As part of the Professional Development Department at my school and through conducting trainings and workshops, I have found that if you go beyond the initial hesitation (the fear of not being a digital native) and go in with a positive attitude, there is so much more to gain and the results can go beyond your expectations. In order to improve education, it is important that we realize that the world is changing, and it is our responsibility to help prepare our students for what lies ahead. What I am most excited about is global collaboration amongst educators. Technology innovation has changed the way we communicate and the reality is that my classroom no longer has four walls. Every day I discover new ways to expand my horizons and those of my students. As educators we can work together to share best practices and have an important impact on education. My hope for the future is that the students I teach will not only have classmates within the class, but they will have classmates around the world. What is the best advice you have ever received? You’ll always regret what you didn’t do rather than what you did. This entry was posted in Information, People and tagged cyprus, helen savvidou. Bookmark the permalink.